Surface Pro | Richard M. Hicks Consulting, Inc. The Microsoft Surface Pro 4 was made available for sale to the public on October 26, 2015. The latest in a line of powerful and flexible tablets from Microsoft, the Surface Pro 4 features a full version of the Windows 10 desktop client operating system and includes more available power, memory, and storage than previous editions. Significant improvements were also made to the keyboard and pen. The Surface Pro 4 is designed to be an all-in-one laptop replacement, enabling users to carry a single device for all of their needs. Microsoft is pushing the Surface Pro 4 heavily to large enterprise organizations by expanding the resale business channel and offering the device through companies like Dell and HP. In fact, Microsoft has made the Surface Pro 4 available through more than 5000 business resellers in 30 global markets. This new enterprise sales initiative strives to deliver world class service and support for enterprise customers adopting the new Surface Pro 4, and includes a new warranty offer and a business device trade-in program designed to promote the adoption of Surface and Windows 10 in the enterprise. In addition, Microsoft will have a training program for IT management and support professionals as well as new Windows users that will help streamline the deployment of the Surface Pro 4 and Windows 10. Organizations are rapidly adopting the Surface Pro 4 and Windows 10, as Microsoft has already signed on a number of high-profile companies in the retail, financial services, education, and public sector verticals. Today, Microsoft has deployed Windows 10 to over 110 million devices since it was released in late October 2015, making it the most rapidly adopted operating system in their history. One of the primary motivating factors for enterprise organizations migrating to the Surface Pro 4 is cost reduction. The Surface Pro 4 functions as both a full PC and a tablet, eliminating the need for users to carry two devices. More importantly, it eliminates the need for IT to procure, manage, and support two different hardware and software platforms (for example a Windows-based laptop and an iPad). Additionally, IT organizations can leverage their existing Windows systems management infrastructure and expertise to deploy and maintain their Surface devices. For organizations seeking to maximize their investment in the Surface Pro 4 with Windows 10, implementing a secure remote access solution using Windows Server 2012 R2 DirectAccess is essential. 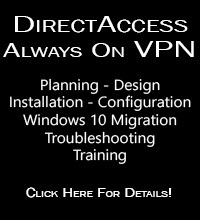 DirectAccess provides seamless and transparent, always on secure remote corporate network connectivity for managed (domain-joined) Windows clients. DirectAccess enables streamlined access to on-premises application and data, improving end user productivity and reducing help desk costs. DirectAccess connectivity is bi-directional, making possible new and compelling management scenarios for field-based assets. DirectAccess clients can be managed the same way, regardless if they are inside or outside of the corporate network. DirectAccess ensures that clients are better managed, consistently maintained, and fully monitored. The Surface Pro 4 with Windows 10 provides full support for all enterprise features of DirectAccess in Windows Server 2012 R2, including automatic site selection and transparent fail over for multisite deployments, as well as scalability and performance improvements. In addition, supportability for Windows 10 clients is much improved with DirectAccess GUI integration and full PowerShell support. 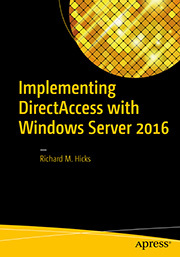 Additional information about how DirectAccess and Windows 10 are better together, click here. DirectAccess does not require any additional software to be installed on the client, and does not incur per user licensing to implement. Another benefit is that DirectAccess can easily be deployed on most popular hypervisors such as Hyper-V and VMware, eliminating the need for expensive proprietary hardware-based remote access solutions and taking full advantage of current investments in virtual infrastructure. Additionally, existing Windows systems management skill sets can be leveraged to support a DirectAccess implementation, eliminating the need for expensive dedicated administrators. 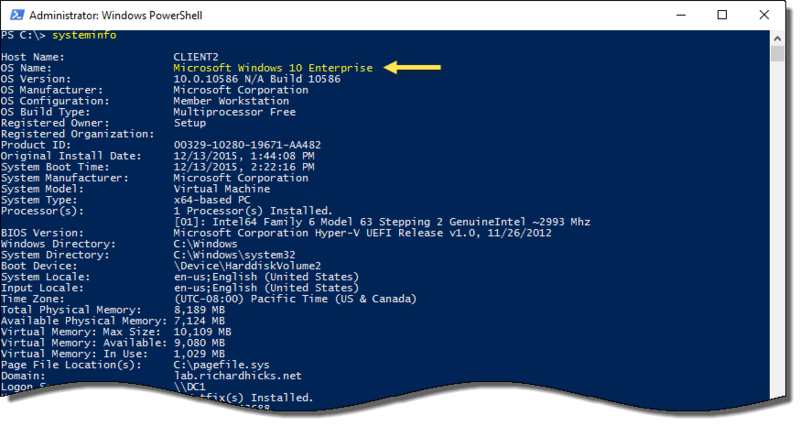 Note: Windows 10 Enterprise edition is required to support DirectAccess, and it is assumed that large organizations will be deploying Surface Pro 4 with Windows 10 Enterprise. The Surface Pro 4 is the thinnest, lightest, and most powerful Surface tablet ever. It features Windows 10, and it can run the full version of Office and any other applications you need. The Surface Pro 4 is aimed squarely at large enterprises, governments, and schools. Not coincidentally, these verticals are also excellent uses cases for DirectAccess. DirectAccess is the perfect complement to the Surface Pro 4 and Windows 10 in the enterprise, as it helps organizations address the unique pain points of large scale enterprise adoption of Windows devices. DirectAccess allows the Surface Pro 4 to be much more effectively managed, while at the same time significantly improving the end user experience. To realize the full potential of your Windows 10 and Surface Pro 4 deployment, consider a DirectAccess consulting engagement. By leveraging our experience you’ll have the peace of mind knowing that you have deployed DirectAccess in the most optimal, flexible, secure, and highly available manner possible. For more information about a DirectAccess consulting engagement, click here. Today Microsoft announced a new partnership with Dell to deliver the Surface Pro and Windows 10 to enterprise customers around the world. This new initiative addressees the specific needs of large enterprises, whose increasingly mobile workforce places unique demands on IT to provide high levels of security and consistent platform management. This partnership will ensure that Dell’s enterprise customers have access to the Microsoft Surface Pro along with Dell’s enterprise-class service and support offerings. 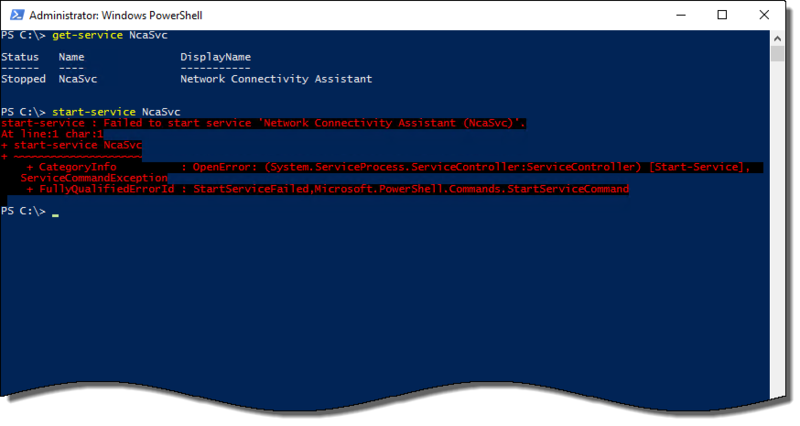 Of course DirectAccess on Windows Server 2012 R2 complements this initiative quite nicely. Using DirectAccess with it’s always on functionality ensures that remote Windows devices like the Surface Pro are always managed and consistently updated, providing IT administrators greater control and visibility for their field-based assets than traditional VPN is capable of providing. 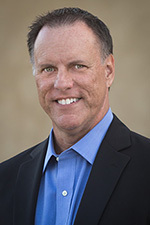 In addition, DirectAccess connectivity is bi-directional, allowing administrators to “manage out” to their connected DirectAccess devices. This opens up compelling use cases such as initiating remote desktop sessions for the purposes of troubleshooting or conducting vulnerability scans to determine the client’s security posture. In addition, Windows 10 now supports the full enterprise feature set of DirectAccess on Windows Server 2012 R2, including geographic redundancy and transparent site failover, along with significant performance improvements over Windows 7 for perimeter/DMZ deployments. DirectAccess with Windows 10 is also easier to manage and support. For more information about the Microsoft/Dell partnership, watch Microsoft CEO Satya Nadella’s message here. For assistance with the planning, design, and implementation of a DirectAccess solution, click here. At Microsoft TechEd North America 2013 I had the privilege of (finally!) acquiring both a Microsoft Surface RT and a Surface Pro. I’d been wavering back and forth on which one to purchase for many months. As it turned out, my indecision (and admittedly some procrastination!) paid off. As you are probably aware, Microsoft was offering the Surface RT 64GB for $99.00 USD and the Surface Pro 128GB for $399.00 USD to TechEd attendees and third-party speakers. Needless to say I purchased both! I love the Surface RT for general Internet use like web browsing, e-mail, etc. The battery life is great and having Office apps is tremendously productive. However, as a technology geek I really like the power and flexibility that the Surface Pro offers. Since it is a full-fledged PC, I can install whatever software I like on it. Being able to join a domain and enable DirectAccess would, of course, be the icing on the cake. The Surface Pro comes pre-installed with Windows 8 Professional, which means I can join a domain but unfortunately it doesn’t support DirectAccess. My plan was to wipe the device and reload Windows 8 Enterprise when I returned from the conference. As luck would have it, I ran in to my good friend and fellow Microsoft MVP Jordan Krause, and I was surprised to find that he had already upgraded his Surface Pro to Windows 8 Enterprise, joined it to his domain, and had enabled DirectAccess right there at TechEd! How did he do this so quickly? It turns out that it is as simple as mounting the Windows 8 Enterprise ISO and performing an in-place upgrade by launching setup.exe. And no, contrary to what some have said, you can’t simply input your Windows 8 Enterprise license key and magically turn Windows 8 Professional in to Windows 8 Enterprise. 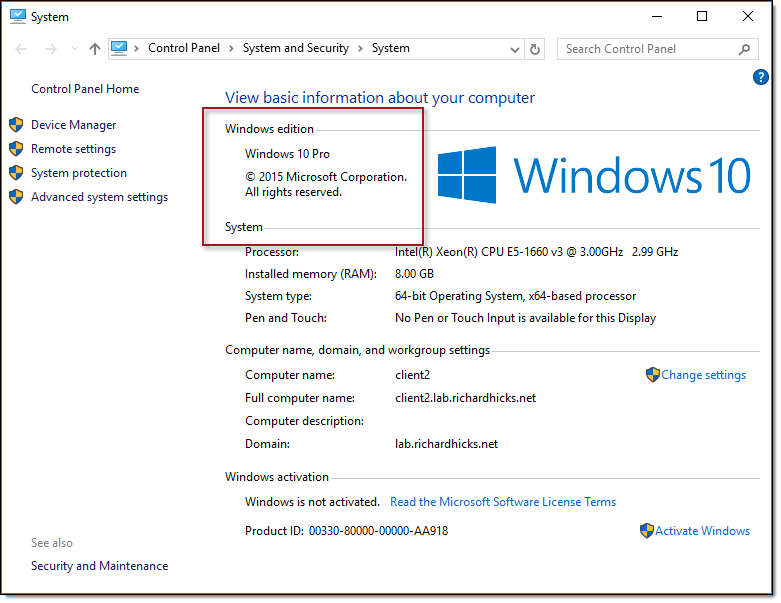 It will of course activate, but it will still be Windows 8 Professional unless and until you perform the actual upgrade to Windows 8 Enterprise using the installation media. recovery media will provide these files. Now when I select the option to Refresh your PC without affecting your files or Remove everything and reinstall Windows the process continues normally. Once the process is complete, there will be a few drivers missing which you can download here. After that everything was good to go! Obviously the solution I’ve described here is only really effective for one-off deployments of Windows 8 Enterprise on the Surface Pro. If you’re considering an enterprise-wide deployment, have a look at the Surface Pro Enterprise Deployment Guide [PDF], which includes detailed, prescriptive guidance for deploying Windows 8 Enterprise on the Surface Pro.